CEO Steve Easterbrook told shareholders that he expects the company’s new partnership with UberEats to expand considerably by the end of next month. This will be the third expansion of its third party delivery service. Easterbrook said that McDonald’s will continue to expand its delivery services as UberEats grows. McDonald’s tested the service at several cities in Florida earlier this year. The company says that delivery is resonating well with its customers, particularly with the younger ones. 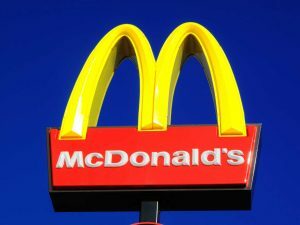 Customers can place orders for McDonald’s delivery on the UberEATs mobile app or website, UberEATS.com, using the same account as requesting an Uber car ride. The closest location will prepare the order, and an Uber driver will deliver it on demand. The food isn’t made until an UberEats driver arrives at the restaurant for pickup. The company said that 60 percent of its orders were placed in the evening or late at night. That allows the locations to bring in revenue at a time when customers may not be walking into restaurants. The deliveries arrived within 30 minutes on average. That is shorter than many of the other options available on UberEats. Delivery has become a key priority in fast food. Other chain restaurants are jumping on the trend as well. Denny’s is partnering with digital ordering company Olo for deliveries from their locations. Taco Bell and Wendy’s also now deliver to select areas. Hiring a fleet of drivers can be a huge undertaking for restaurant chains. That is why many food companies have been partnering with companies like Uber, Postmates and DoorDash to help ease the financial burden. However, the partnerships mean that the companies making the food do not have direct control over the employees making the deliveries. McDonald’s sees restaurant delivery as a $100 billion market. McDonald’s has already established delivery services in Asia and the Middle East. For some of the restaurants in that region, delivery is 40 percent of sales. Globally, McDonald’s made nearly $1 billion in delivery sales last year.